Welcome to Evans Equipment Inc.
Evans Equipment is a used earthmoving equipment dealer located in Concordia, Missouri. We have been family owned and operated since 1965. 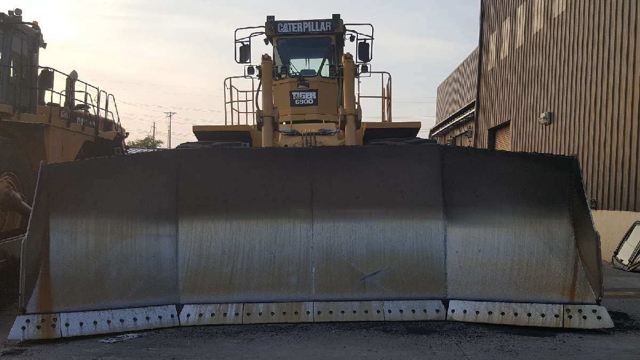 We specialize in rebuilt Caterpillar equipment including Dozers, Loaders, Scrapers, Motor Graders and Off-Highway Trucks (AKA mining trucks and heavy construction trucks) . We always have a revolving inventory of reconditioned Excavators, Compactors, Articulated Trucks, Haul Trucks, and Pipelayers. If you have a unit that is ready for a complete rebuild, contact our sales department to discuss it! We are an independent used Cat equipment dealer with a long history of doing business in a professional manner. We couldn’t have done that without our exceptional employees, many of whom have been with the company for over 30 years! We own every machine we advertise and all items in our inventory are available for sale today. Feel free to check out our rebuild page to see how the Evans Equipment Advantage provides better equipment quality to its customers. If you have any used Caterpillar equipment or other used construction equipment for sale, give us a call. We are interested in purchasing both single machines and whole packages of used heavy equipment. Give us a call at 660-463-2204 | We look forward to earning your business! "We do the dirty work, so you can do the dirt work"